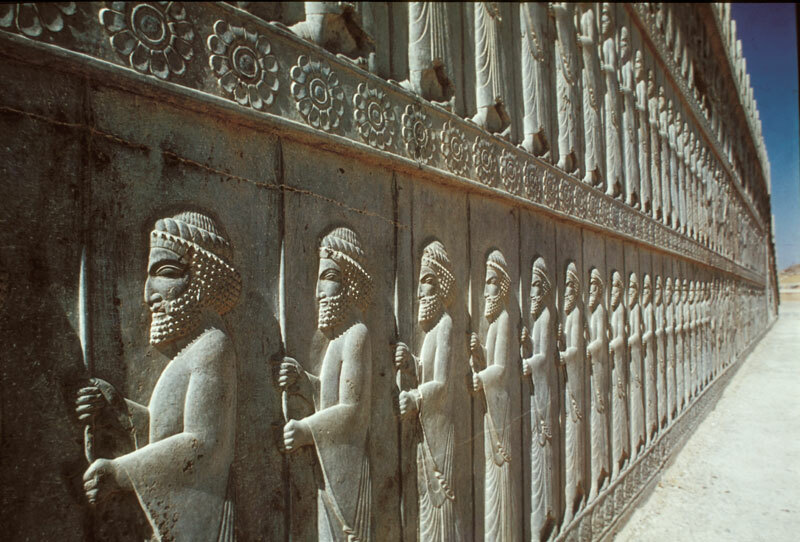 On of the great places to visit in Iran is persepolis built br Darius 1st about 500 BC. The remains are in a remarkable state of peservation. The monumental staircases are decorated with splendid bas-reliefs showing Achaemenian guards facing each other. Above is one section.